It’s no secret that I’m lacking in Asian cooking skills. I love Asian food – especially because so much of it can be made gluten-free – but I just don’t have the right touch in the kitchen. Nevertheless, there are a few things that I can pull off. 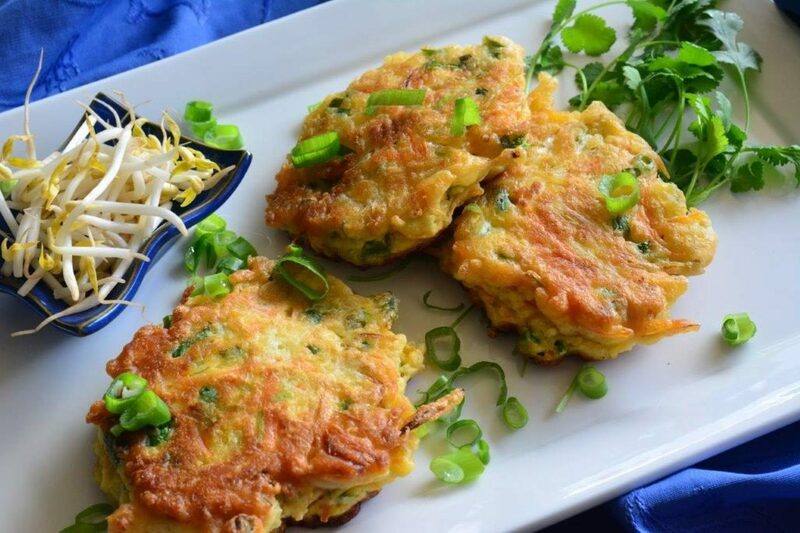 For example, these gluten-free Asian Vegetable Pancakes. They make a great light meal and the leftovers are brilliant in the lunchboxes the next day. Best of all, there’s no limit to flavour combinations – just choose whatever veggies your family will eat, or whatever veggies will challenge their tastebuds – either way, they work really well. I decided to extend my family’s palates with fresh ginger and coriander, two of my favourite Asian flavours. I didn’t hold much hope that they’d eat them, but to my surprise, they tucked in, no problems! You can also serve these pancakes with a dipping sauce, for example sweet chilli sauce, plum sauce or soy sauce. Looking for some other lunch ideas? Check out my eCookbook. 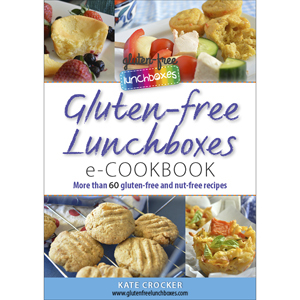 Buy your one-stop gluten-free eCookbook! Looking for a conversion chart? Click here. Put flour, baking powder and salt into large mixing bowl. Add vegetables, coriander and ginger. Add eggs and milk. Stir to combine. In a large, non-stick frypan, heat a generous amount of oil over medium heat. Spoon in batter to form pancakes that are approximately 10 centimetres in diameter and 2 centimetres thick. Allow to cook for approximately 12 minutes, or until golden brown and tops of pancakes are starting to set. Flip and cook on other side for 8 to 10 minutes, or until golden brown. Serve immediately as a light meal, or cold in lunchboxes. What is a healthy alternative to white GF flour that tastes yummy for kids and school friendly? Hi Sue, you’ll see from my recipes that I like to use a combination of rice flour, sorghum flour and tapioca starch. It works really well and is basically tasteless.